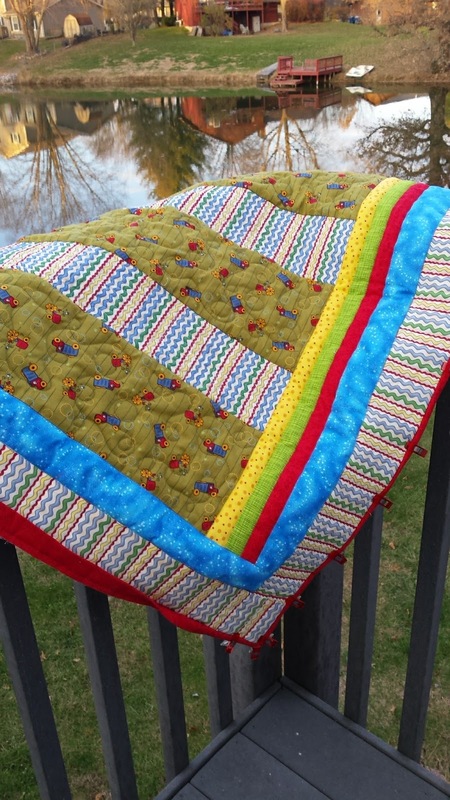 Do you follow Bonnie Hunter of the Quiltville Blog? Every year on the Friday after Thanksgiving she begins a mystery quilt-a-long and this year's is titled On Ringo Lake. Clue #1 came out last Friday and I've decided to give it a shot. For the last couple of years I've watched others make her scrappy-style mystery quilts and I've wished I'd joined along. 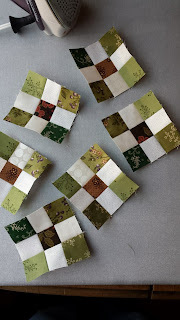 This year I'm going to sew with the Quiltville group but I'm only going to do a few of the weekly blocks until I see how the pattern turns out. If I like it, I'll finish it 100% of the way it was meant to be. If I decide it's not quite my style, I'll piece together what I've got and see what else I come up with. Sounds like a good plan, right? Clue #1 was to make 9-patches. Bonnie is using colors inspired by her photo of Ringo Lake. Here is her button so you can get an idea of her color palette. 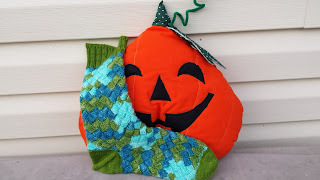 To see everyone's progress, click HERE for the Monday Link-up. I'll be using slightly different colors. Her chocolate browns will also be my chocolate browns. (Yum! I love chocolate!) Her turquoise will be my green and her melon will be my purple. These are my blocks for this week. Nothing too spectacular to look at so far but it is progress! 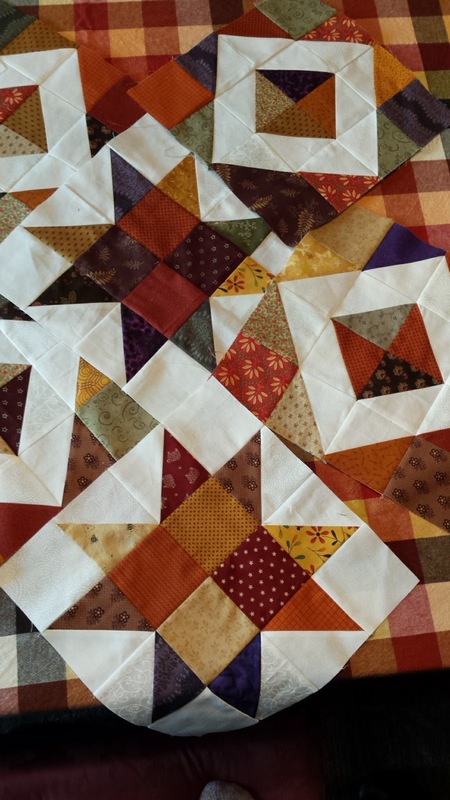 On another front, I have been making headway on my Autumn Jubilee lap quilt. 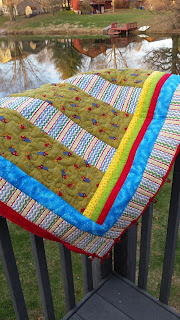 This quilt-a-long was generously hosted by Carole from From My Carolina Home Blog. 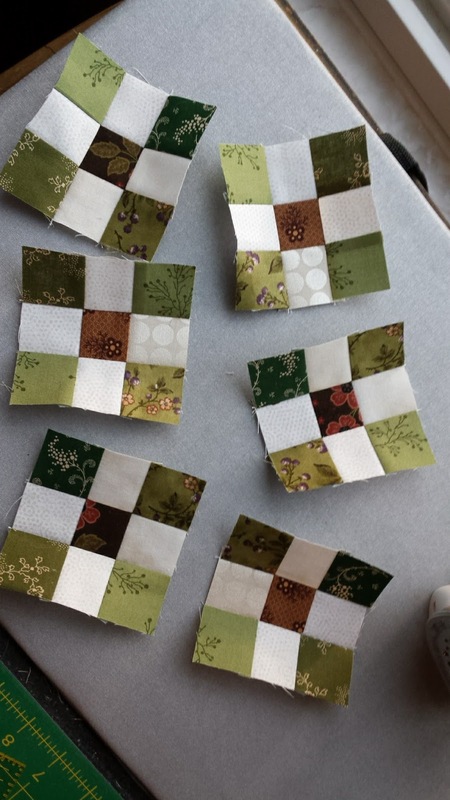 Not only did she post directions for this quilt in 3 sizes, but there was also a tablet cover and a wool candle mat you could make. Again a very generous gift from yet another sweet blogger. I believe I've shared her information here before but here's another plug because it's so worth it! 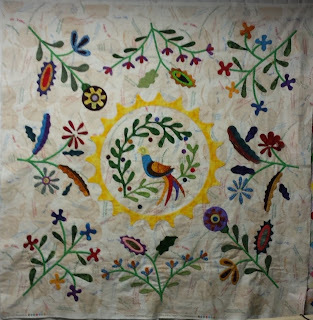 Click HERE to check out EVERYTHING she offers -- gardening, cooking, card making, traveling, and (of course) quilting. Here are a couple pictures of my blocks. When I laid them out on the floor, they became "Polly Approved"! My guild, Hearts 'n' Hands, offers quite a few charity opportunities. 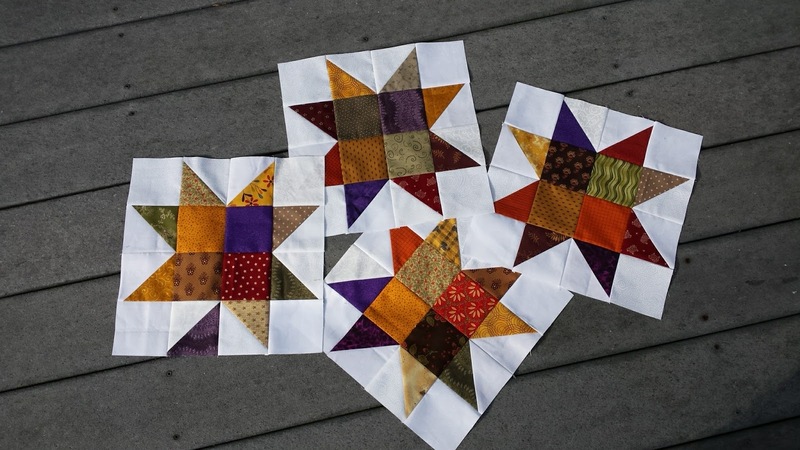 One of them that I enjoy contributing to is the Linus Project, quilts for children in need. The part I enjoy is quilting the top that someone else made. I do this on my domestic machine, apply the label, and sew down the binding. I try to do two each year but I do believe this is the first one for 2017. I'll have to make up for that in 2018! Here are a couple of pictures of the quilt I'm finishing up. First the front. I chose this top to quilt because it looked to me like a little boy's quilt. They seem to be made less often than little girl quilts. Probably because we like to make the "pretty" ones. I'll close off this post with a picture of Gracie. 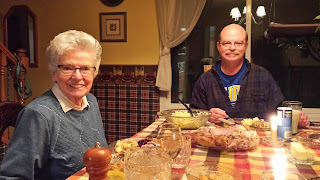 After all, Polly was mentioned earlier in the post and we need to keep things even, not to mention I'm thankful for her too. She's my walking buddy! 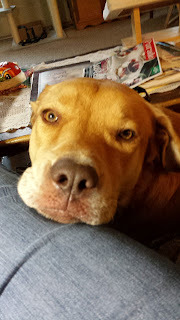 Look at that face -- what a sweet girl, resting her big, old mug on my leg! Hope you're having a great week! Until next time, let's sew! I'm a Loser ... What else can I say? Man, I'm a loser ... what else can I say? Plenty! It's been since the middle of September that I posted last. It's not like I've been loafing around or anything. Just haven't blogged in a while. 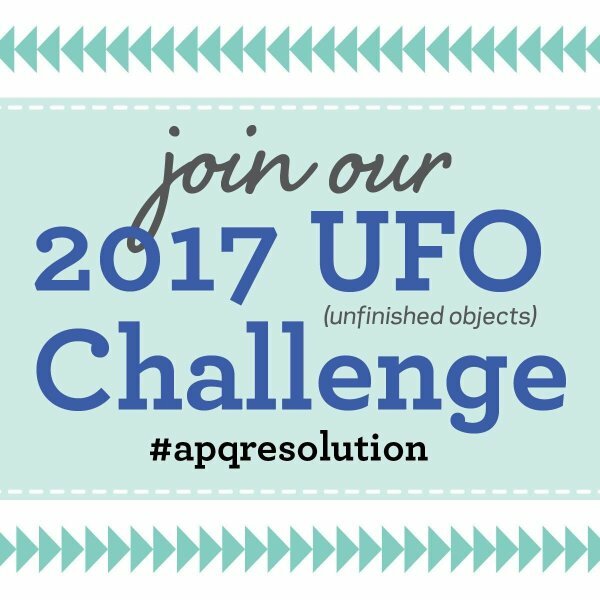 So let's catch up starting with the APQ 2017 UFO Challenge. September's UFO was #7 -- Blueberry Buckle. For the life of me, I can't remember what this one looks like so I couldn't even look for it. 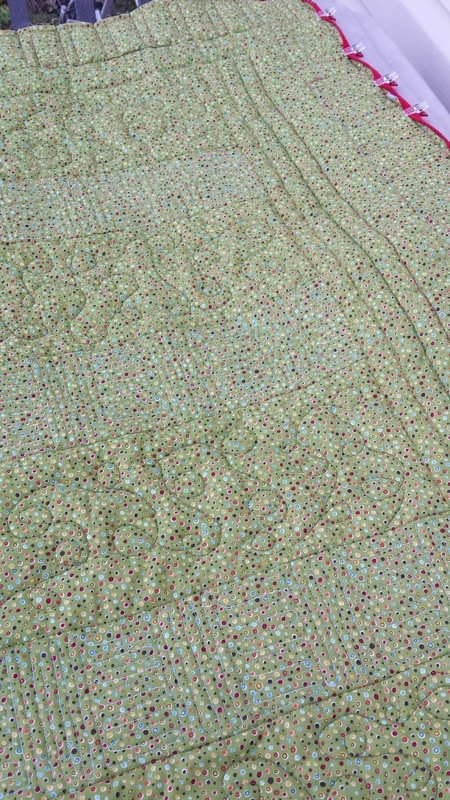 It was a Mystery Quilt-a-Long from Rosemary's Quilt Shop but I never found it that month. September was a bust. My October 2017 UFO Challenge #3 was Life of Plenty. I really, really, REALLY want to hand quilt this one but I don't know where it is. 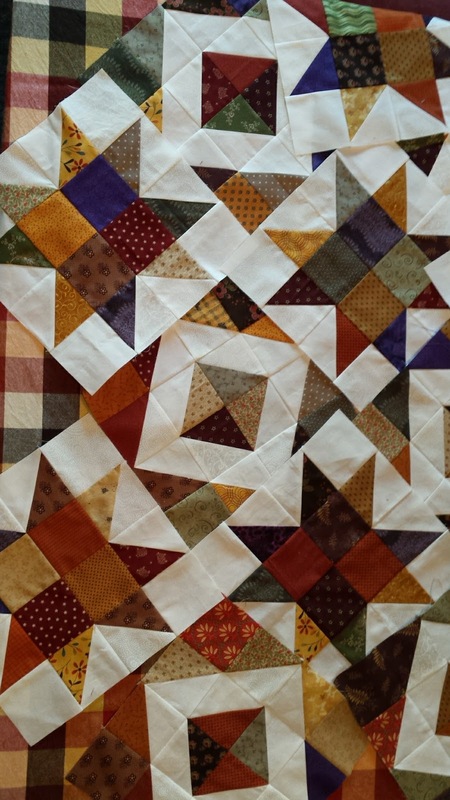 What I do know is that it is finished and just needs to be layered and quilted. But first, I must find it. This one will definitely be on my list for 2018. Of course I had to see what November project is up for the UFO Challenge ... #9, Kitties for Sarah. This is another one that I really, really, REALLY have been wanting to finish up. I believe I only have the quilting left to do. And another plus -- I think I even know where this one is! When I find it (this weekend, I hope), I'll be sure to take a picture to post. Who knows? I may even get it layered up!!! 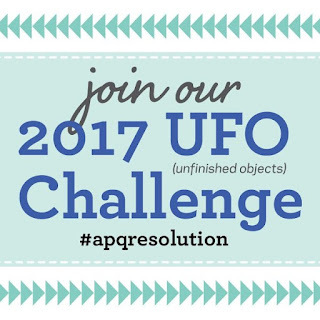 That takes care of my UFO Challenges, next up are my Irene Blanck projects. I'm happy to say that I believe my Clam Shells top is complete. I was planning on a narrow border of the dark brown and following it up with a light-ish wider border for a little applique but it feels done to me right now. I might change my mind, trim down the brown, and have at it later. It needs to percolate, I think. 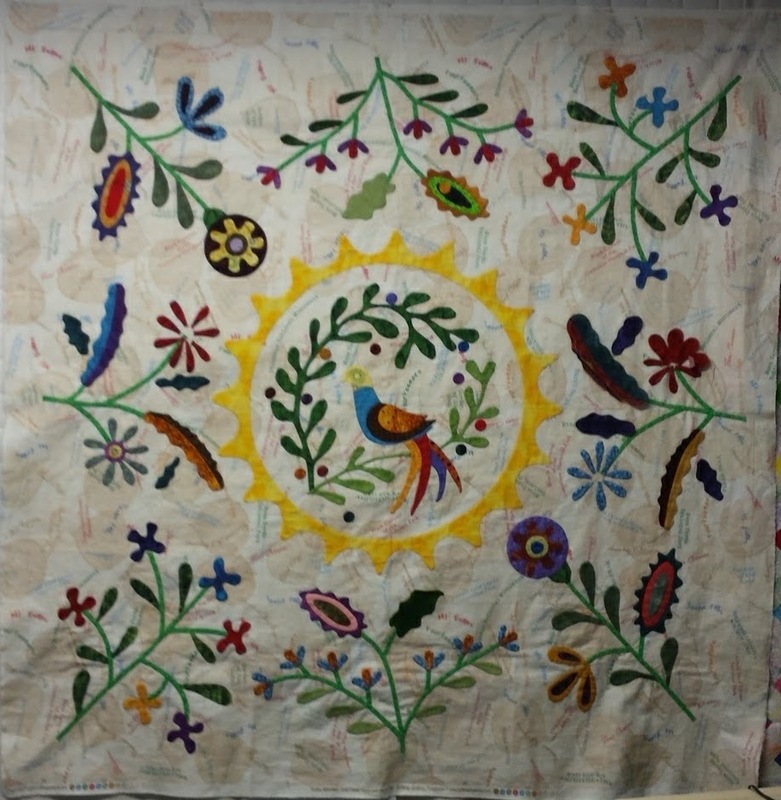 As for the Mosaics project, I am just about finished with all the applique in the center. Whew! That was a lot and did I mention a bit bulky? This center is like 50" square and difficult to work with while turning curves and such. Many times I wished my hands were larger to hold all that wadded up fabric! Anyway, I'm liking this project and already have numerous hexie circles ready for a border unit. Note the flowers in the middle unit on the right are not 100% done yet. Working on them as well as the mirror-image on the left. Yay! Progress! I've been working on a couple of quilt-a-longs with a blogger that goes by From My Carolina Home. While following along with Scrap Dance Two-Step, I tried very hard to keep up followed by catch up. I just need to finish up now. I was all in to sewing the queen-sized version and have it quilted with a pantograph pattern so it could grace my guest room bed. While visiting my son & daughter-in-law this past August, Amanda asked me to make a quilt for their bed. 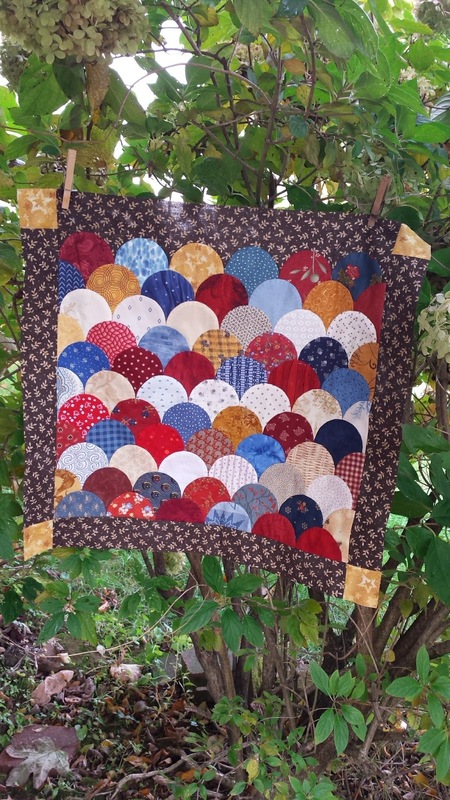 I immediately thought of this quilt because it's done in fall colors and my son LOVES Fall! 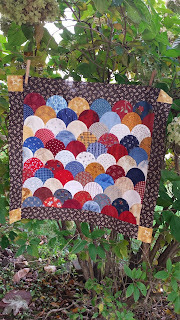 I need to get going so it can be quilted in time for Christmas .... maybe? From My Carolina Home also had a quilt-a-long titled Autumn Jubilee 2017 and I decided a throw size would be perfect for me! I don't have a fall quilt for my couch and again I thought I'd sew this up in no time! I sure do dream big. In the meantime we took a vacation so once again I'm playing catch up. So glad I already had my 120 HSTs sewn up from a weekend retreat. Just trying to find time to sew up the blocks. Well, poop! Just noticed in this picture that the star on the left is WRONG! 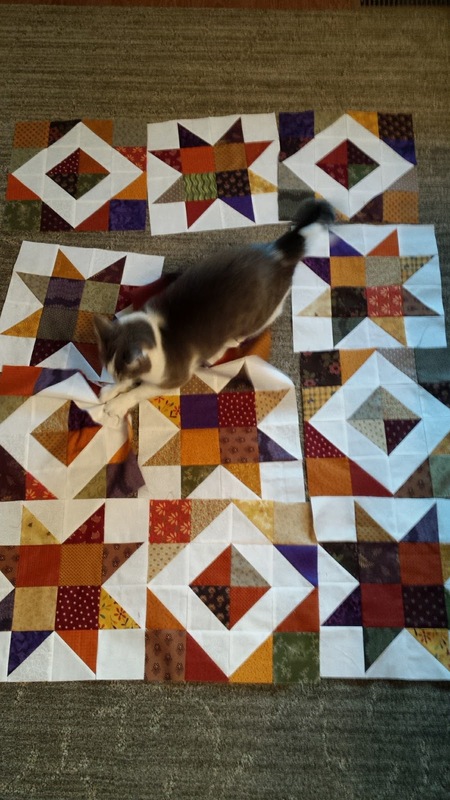 Thankfully I noticed it now rather than when the whole quilt was pieced! Correction to be made soon! Haha! 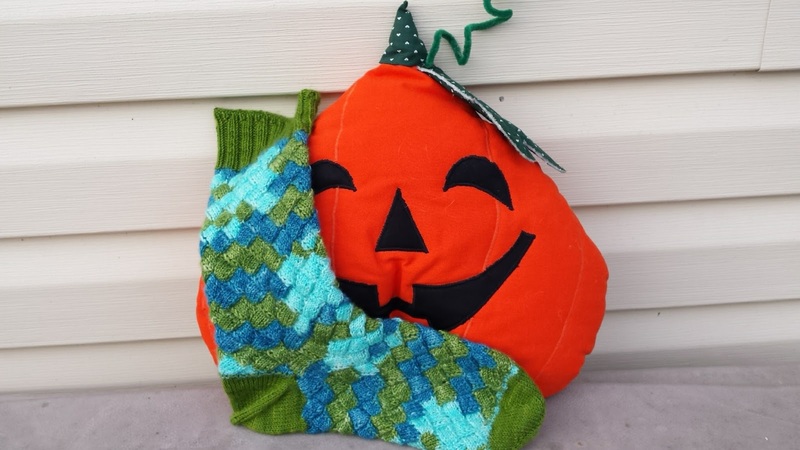 The sock on the left has been blocked while the one on the right has not. What a difference! You can find the pattern details HERE! 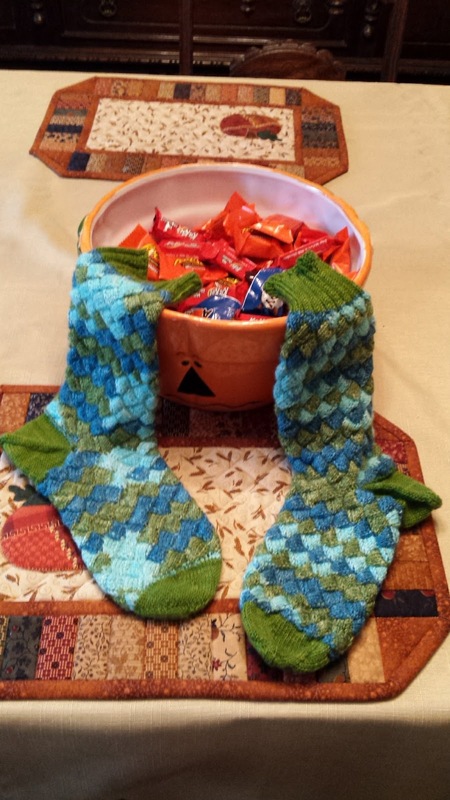 Once the 2nd sock is blocked I'll be able to submit this pair for credit. 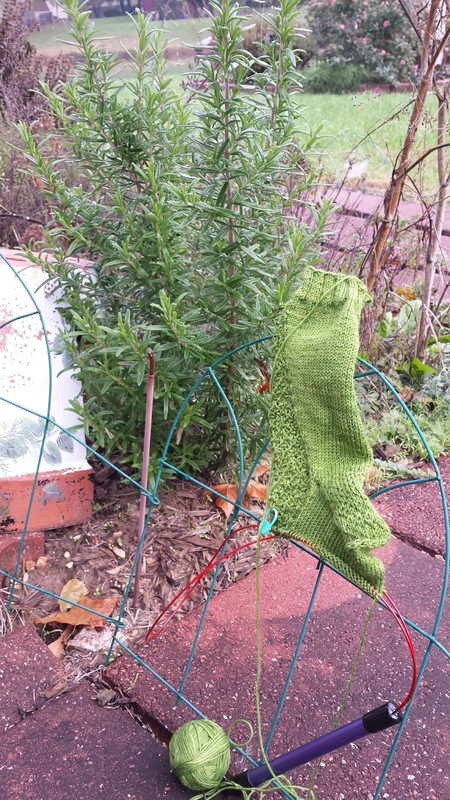 I'm currently working on Wasabi Socks to fulfill the asymmetric project. I've had this pattern dog-earred in an Interweave Knits Magazine for a long time. It's in the Spring 2010 Issue ... a long time ago! 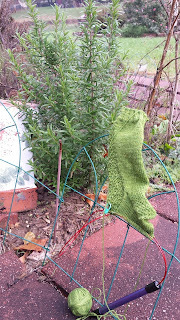 I'm working the instep now on the first sock and then I'll finish the foot and on to sock #2. 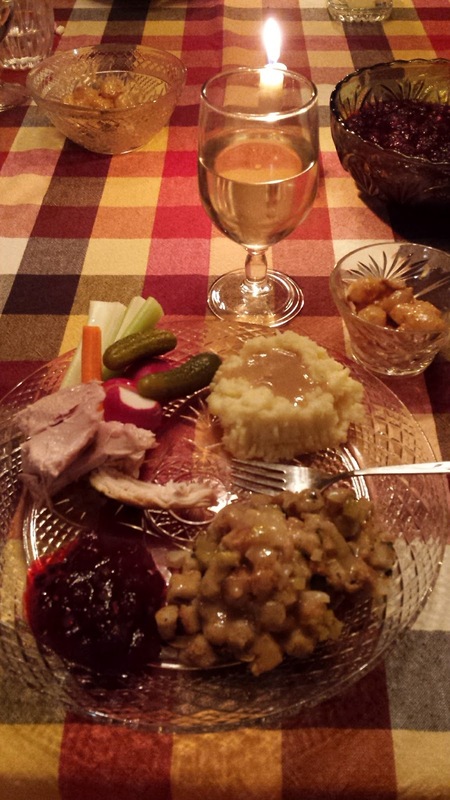 So obviously I'm not the slacker you may have thought I was ... just slacking on my blog!